fact, acute inflammation that occurs following an injury or infection initiates healing. inflammation, there isn’t injured tissue, only healthy tissue. So, the MMPs destroy that instead. Collagen, elastin, glycosaminoglycans (GAG’s) and other connective tissue are broken down by MMPs. caused by chronic acne inflammation. 1. 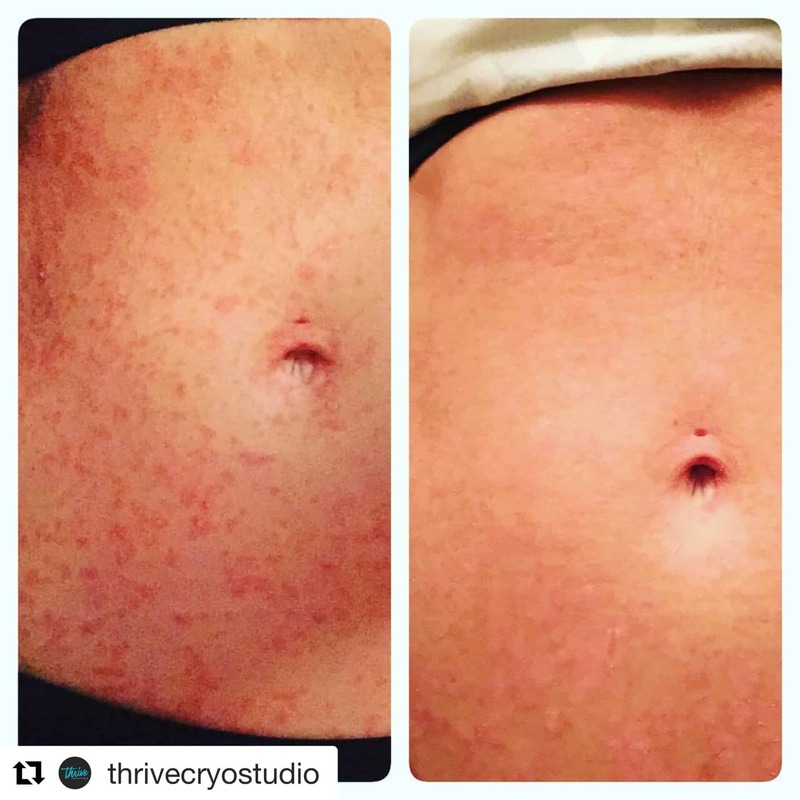 Acne, rosacea, eczema, and psoriasis diminish or even disappear! 2. Dry, rough, flaking skin is relieved. Skin is smoother, softer. 3. Skin is tighter, spongier, more elastic. 4. Cellulite is reduced from increased collagen and reduced fat. 5. Wrinkles diminish as collagen, elastin & hyaluronic acid increase. 6. Brown spots and other pigmentation diminish. reverse the signs of aging on your skin. Come in today and work out a beauty cryotherapy plan especially for you.